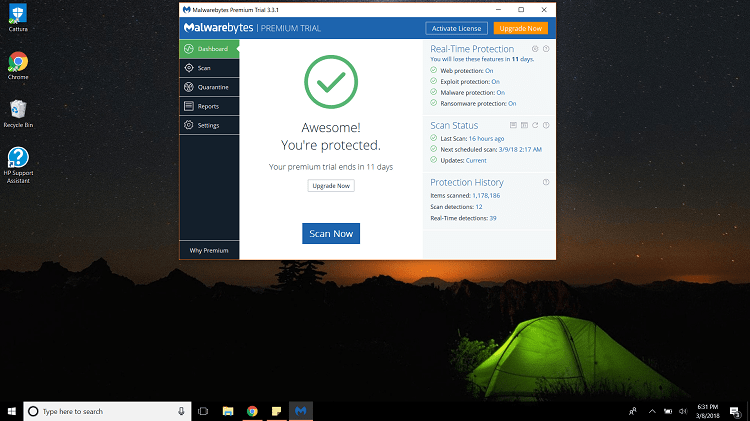 Malwarebytes or Avast, which antivirus software is a better option in 2019? In the modern world, malware (short for malicious software) poses an ever-rising level of threat to everyone, not only due to the ever-increasing number of malware but also due to the nature of the threats. The bad guys have gotten exceptionally smart, and have devised many new (and clever) ways to fool you into visiting infected websites, downloading rouge malicious programs, opening dangerous email attachments, and more. 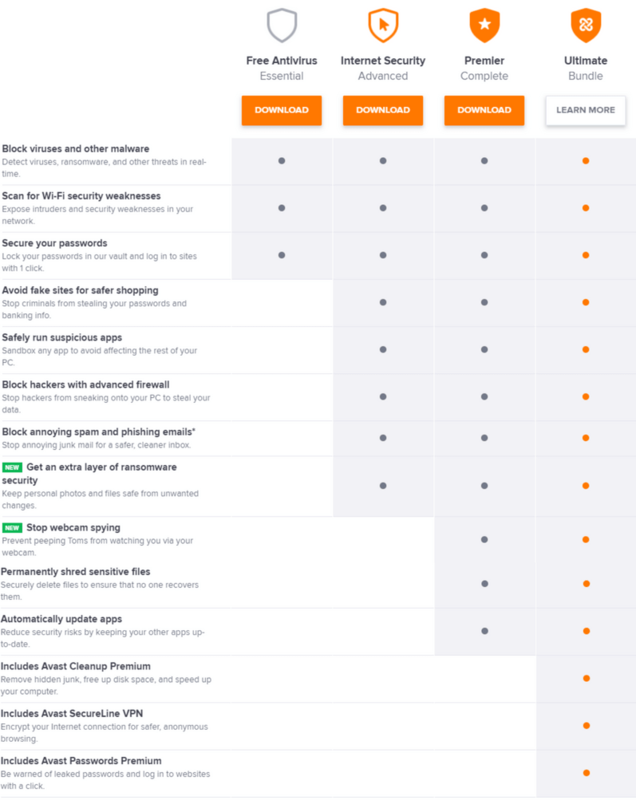 In this comprehensive, in-depth guide, you will see what Avast and Malwarebytes have to offer and how they stack up against each other in great depth. “What’s the difference between viruses and malware?” you may ask. Put simply, a computer virus is a specific type of malware that replicates itself by changing other computer programs, while malware is an umbrella term which is used to refer to a variety of forms of harmful or intrusive software, including viruses, worms, Trojan horses, ransomware, spyware, adware, and more. Back in the day, the term “antivirus” made the headlines so a lot of cyber-security companies – including Avast – named their security products after it. But that doesn’t mean an “antivirus” product would only protect against viruses; in fact, most modern antivirus products protect against a wide variety of malware threats. Malwarebytes and Avast are two slightly different type of tools; the former’s specialty lies in hunting down previously unseen malware (also called zero-day malware), while the latter is a complete package that provides excellent protection against all sorts of new and old viruses, adware, spyware, ransomware, exploits, and more. First, let’s look at the different antivirus (or anti-malware) suites both companies offer and the stuff included in each one of them. If you want the answer straightway, take a look at the summary of this ultimate comparison below and also read our short verdict to make your mind. 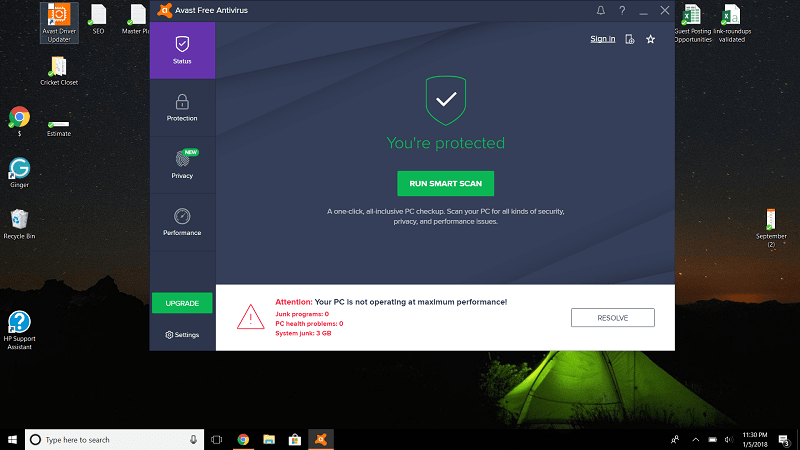 Avast is the winner as it offers more security-enhancing features and extra utilities in its security suites than Malwarebytes. Also, independent lab tests prove that Avast is better than Malwarebytes in terms of both malware detection and the impact on system performance. Let’s begin with the detailed comparison. What is Included in Malwarebytes Anti-malware Suites? Malwarebytes offers a separate lineup of products for Windows and MacOS. First, let’s see what is included in the two suites that Malwarebytes offers for Windows users: Malwarebytes Free and Malwarebytes Premium. Unlike most of the modern free security tools, Malwarebytes’ freeware is a cleanup-only product, with no real-time (or on-access) protection. In simple terms, it doesn’t protect you against threats in real-time, but it can help you remove malware that has already infected your system. It can also help you remove spyware and rootkits. To prevent malware from sneaking into your system in the first place, you must purchase Malwarebytes Premium. It adds real-time threat monitoring capability, a powerful anti-exploit module (protects your system and other software against exploit attacks), an anti-ransomware, and protection against fake, malicious websites. Of late, the company has started claiming its premium security product as “a next-generation antivirus replacement,” but I believe the product still has a long way to go to reach that status. For MacOS, Malwarebytes offers two similar security solutions for home-based users: Malwarebytes Free and Malwarebytes Premium. The freeware will only help you clean your infected Mac, while the premium one provides protection against viruses, spyware, ransomware, adware, and other types of malware. Also, it will automatically update to the latest version, so you don’t have to worry about updating it. What is Included in Avast Antivirus Suites? First, let’s see what Avast offers for home-based Windows users. Avast’s freeware, popularly known as Avast Free Antivirus, is one of the best free antivirus software available in the market. It includes a lot of security-related tools and handy utilities (some of them are limited, which is expected as the software is completely free), along with great protection against all sorts of new and old malware threats. A WiFi Inspector (scans for vulnerabilities in your home-network and exposes intruders), a limited Software Updater, and a password manager are all part of the free version. A rescue disk option to remove deeply rooted malware infections and a silent/gaming mode feature for interruption-free experience are also included in the Avast’s free offering. Avast Online Security free browser extension safeguards your online experience by blocking websites that are fake or known to be involved in phishing/fraudulent practices, while Avast SafePrice is a price comparison and coupon finder tool that can assist you in finding the cheapest deals from around the web. With Avast Antivirus Pro, you get everything in the free plan plus Sandbox technology (lets you test and play with dangerous files in a virtual environment), a Real Site feature to prevent hackers from hijacking your DNS (Domain Name System) settings, and premium customer support. The next level up is Avast Internet Security. It adds an advanced firewall, an anti-spam to filter out junk, phishing emails, and also includes an extra layer of ransomware protection to wall off your private folders and photos. Avast Premier takes things to the next level by adding a data shredder (lets you safely delete your sensitive files so they can’t be recovered), an automatic software updater, and a webcam shield. Avast Ultimate is the company’s top-tier suite. It includes everything in the “Premier” plan plus Cleanup Premium (removes junk, saves disk space, and speeds up your system) and a VPN. It also includes Avast Passwords Premium, which is the same password manager that comes with the free plan but includes few advanced features. Avast Security and Avast Security Pro are the two Avast plans that are compatible with Mac platform. The former is a freeware that, much like Avast Free Antivirus for Windows, comes with basic anti-malware security, web and email shields, and a WiFi security scanner (checks your network and connected devices for vulnerabilities). With Avast Security Pro, you get everything in the free plan plus ransomware protection and a WiFi intruder alert feature (instantly notifies whenever someone connects to your network). Malwarebytes vs Avast: Which is Better in Terms of Protection? Any sample that is suspected to be dangerous is added to cloud servers and if confirmed to be malware upon further examination, it is then sent out to the users in form of latest definition updates. Both Malwarebytes and Avast claim to protect against both all sorts of known and unknown malware (also called zero-day malware). First, let’s see how Avast performed in the recent independent lab tests conducted by AV-Test and AV-Comparatives – two respected security labs that regularly test various top antivirus products on different levels. In the ‘protection’ category of the AV-Test’s most recent review of Avast, they tested the product against 185 samples of zero-day malware and 10,684 samples of widespread malware in the months of November and December last year. Avast came up with incredible results; it protected against 100% of the zero-day malware samples in both months, and 99.9% and 100% of the widespread malware samples in November and December respectively. It received an excellent 6-star rating in the ‘protection’ category from the security experts at AV-Test. 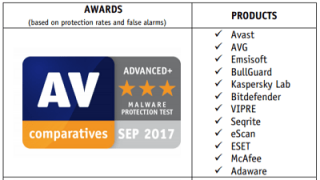 To test the protection level of different antivirus products, AV-Comparatives does two major tests: Real World Protection Test and Malware Protection Test. The former aims to test the product against real-world settings as experienced by users every day, while the latter assesses the software’s ability to protect the system against infections by malicious programs before, during, or after execution. On the other hand, it’s much more difficult to test the effectiveness of Malwarebytes since it doesn’t take part in the independent lab testing for a lot of reasons. The major reason being that Malwarebytes is not like a traditional antivirus product as it identifies and blocks threats based on their behavior than simple signature-based detection. Its specialty lies in whipping zero-day or zero-hour malware – a type of malware that has been recently created or found on the internet – and not the malware that had originated several years ago. In fact, to keep the product simple, the company may remove the signature of a particular malware if it hasn’t been spotted in the recent years. So, a test that uses dated samples to gauge the product’s protection level will make the product look substandard, and is one of the biggest reasons why Malwarebytes doesn’t participate in the independent lab testing. Also, Malwarebytes encourages its users to run their tool alongside another antivirus tool with stronger definitions like Avast or Bitdefender to stay protected at all times against both known and unknown malware. Besides scanning, experts report that Malwarebytes has a great malicious URL blocking filter and an Anti-Exploit module. All things considered, it can be easily said that Avast offers better overall protection against all types of malware threats. Malwarebytes vs Avast: Which Offers a Better Interface? Now, let’s see which of the two software provides a better user interface. Avast’s modern-style interface follows a dark color scheme and looks nice, clean, and elegant on both Windows and MacOS. It has a vertical menu along the left edge that has the following categories: Status, Privacy, Protection, and Performance. The Status category, which is the default window, shows a reassuring “you’re protected” message with a green check mark if everything is all right. It quickly turns to red when your computer’s health is in jeopardy. Just below the message is a button to which lets you run what Avast calls a ‘Smart Scan’. The other three categories — when clicked — neatly open relevant features and their settings in a horizontal roll-out manner. At the bottom left, there’s a button which takes you to the settings page, and just above is a button to get you to upgrade to a higher plan. If you’re on the free plan, you’ll see many of the features that are reserved for paying customers have small padlock icons next to them, meaning they will be of no use to you. Also, it goes without saying that you’ll see unobtrusive ads in the freeware. When you download the free version of Malwarebytes, you automatically get all the premium features free of cost for 14 days. The program’s interface is immaculate and user-friendly. At first look, it may appear as a little tricky but when you get used to it, you’ll see it’s very straightforward. On most of the occasions, all you will do is to run a scan and look at the results. Like Avast, there’s a vertical menu on the left with the following categories: Dashboard, Scan, Quarantine, Reports, and Settings. If you’re on the free plan, you’ll see a ‘Why Premium’ button on at the bottom-left which takes you the tour of Malwarebytes Premium. The Dashboard window is the first thing you see when you open the software. It shows your protection status and also tells you about the number of days remaining in your free trial. You can quickly run a threat scan by just clicking the ‘Scan’ button. On the right side, you’ll see the list of modules that are currently active, your last scan status, and your protection history. You can run different types of scans (i.e. Threats Scan, Custom Scan, and Hyper Scan) using the Scan button. The Quarantine, Reports, Settings windows are pretty much self-explanatory. Overall, both Avast and Malwarebytes offer excellent user-experience. So it’s a tie in this category. Malwarebytes vs Avast: Which Software Costs Less? First, let’s see how much Malwarebytes costs. Now, let’s see the prices of different Avast’s plans. Malwarebytes vs Avast: Which Software is More Popular? To figure out which software is more popular is a difficult task. I will look at the independent market share statistics, total downloads, and social media numbers to decide the winner in this category. OPSWAT, which is an independent company, publishes monthly reports on the market share captured by the leading antivirus (or anti-malware) companies. According to their most recent report, Avast dominates the market with 19.3%, followed by ESET (4%) and Malwarebytes (12.72%). On CNET’s download.com, which is the world’s most popular software download portal, Avast has far more total downloads than Malwarebytes. If you look at the social media following, Avast once again leads the way with 4.1 million Facebook fans and over 182k Twitter followers, as opposed to the Malwarebytes’ 2 million and 50k respectively. So, it’s clear that Avast is a more popular choice among users. Avast offers more protection-related features and extra utilities in its security suites than Malwarebytes. Also, Malwarebytes specializes in hunting zero-day malware, while Avast provides top-notch protection against all kinds of malware (including zero-day malware). Would you mind pointing out anything that I’ve stated incorrectly?